The recent launch of Google Wallet Google Launches Google Wallet. Not For Everybody! [News] Google Launches Google Wallet. Not For Everybody! [News] Google officially launched its mobile payment system Google Wallet yesterday, and it could very well change how we pay for merchandise and services. For now, the Google Wallet is only set up for Sprint Nexus... Read More is another indication of how practical and useful smartphone technology has become in just a few short years. Many people carry their phones with them everywhere they go, and to use a slightly old cliché, there’s “an app for that” for nearly all of our productivity needs. Based on my experience of the last few months, I can say it is possible to replace your physical wallet with your smartphone. The potential of Google Wallet could possibly make the transition to a digital wallet much easier, but until the service becomes more widely available, there are ways you can replace your wallet with a smartphone wallet. The example I use is with my iPhone, but these suggestions could probably apply to similar devices. The first thing I did to abandon my analog wallet was to determine what items I actually used on a regular basis. Taking a hard look, I realized I only used three or four items on a regular basis – my debit card, a credit card, and occasionally my drivers license. The other items, including collected business cards, receipts, family photos, my social security card, and numerous other pieces of paper and notes could all be transferred and accessed on my iPhone. The next thing I did was search for a practical and suitable iPhone case to hold my drivers license and a couple of debit cards. There are several options out there all for under $30, but what you choose depends on how much bulk and weight you can stand to add to your phone. I searched for a case that would carry at least three cards with minimal added weight to my phone. The JAVOedge credit case has worked best for me. Although there is not enough room to insert dollar bills, it snugly fits my drivers license and two debit/credit cards. There are other cases on the market which will hold more items, so it really all depends upon your particular needs. Replacing the other items in my physical wallet was a cinch. The following are apps I use. There’s a free version of each app, although I reference the pro versions that I use on my iPhone. You will need to of course locate apps for your particular “wallet” needs. I use these smartphone wallet apps to access and manage family photos and other images. Stash Pro (free version) provides more folder and management features than the iPhone’s default Photos app. You can add photos and videos to Stash Pro without having to connect your iPhone to iTunes. Dropbox How To Use Dropbox As Free Unblockable Image Storage For Your Blog How To Use Dropbox As Free Unblockable Image Storage For Your Blog Read More could also be used for managing photo files. I use Key Ring (free) to hold a handful of my reward cards. I simply launch a merchant card in the app while standing in line, and each time I use them, the attending clerk either scans the digital card or manually types the number in the machine. Since I don’t use these cards on a daily basis, I have never found using them an inconvenience. I use JotNot Pro (free version) to scan paper receipts and other documents. This iPhone camera-based application works just as well or better than some desktop scanners. The image resolution of the scanner is clear and sharp, and the app is great for maintaining and managing scanned documents. Since I’m using the iPhone as my wallet, there are at least a dozen other apps I use that go beyond what a physical wallet is capable of doing. I use, for example, apps for checking my debit card and banking transactions. keeping shopping lists (Shopper), as well as a Tip Calculator, a car maintenance logger (Gas Cuddy), and Amazon’s PriceCheck application. I also use a couple of notes applications, including Apple’s default iPhone Notes app. And what about cash? 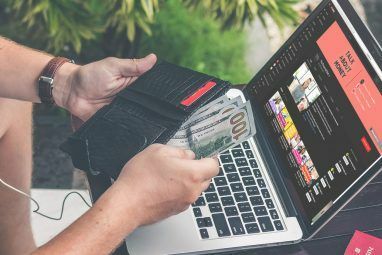 I prefer to use a debit card over cash, simply because the latter allows me to keep track of my spending, especially for discretionary items and services. I use a homemade money clip, and carry no more than $40 in my pocket at any given time. There is never a place I go now in which debit cards are not accepted. My analog wallet now sits abandoned in the glove compartment of my car. There are a few items in it that I may occasionally need to pull out once or twice a year. Some people may find it a risk to put all their personal content on one device. That is understandable. However, in all the years I have used my iPhone I have never misplaced it, and because it is a device that I use for making phone calls, checking email, sending text messages, listening to music, and browsing the web, it is rarely out of my hands when I’m out and about. I also keep records and pictures of all the cards stored on my phone. So in the event it’s ever stolen or lost, I can put a cancel on those cards. If and when Google Wallet is made available to the iPhone and the banking institution that I use, there will be very little need to carry around physical cards. Perhaps in the near future we could even see digital versions of our drivers license and ID cards that can be kept on our phone. 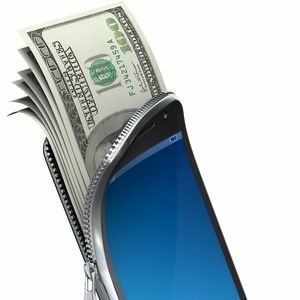 Let us know if you currently use your smartphone as a wallet, and what the challenges are, if any, to doing so. My driver's license digitized in the phone? No thanks - when the cop confiscates my license he confiscates my phone and everything that goes with it (to which he will probably have access). Congress and the courts are giving the feds increasing access to phones, etc. Before 2020, fed and local police will have total access.The police have too much power already, which they sometimes misuse: this would give them a lot more. Another problem seems to be that one still has to carry a physical credit card and other objects, because for the foreseeable future there will be people and places that can't/won't accept the phone payment. 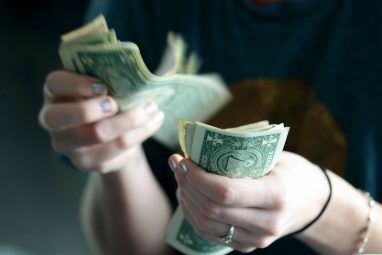 It's smart to carry cash for great on-the-spot cash deals that occasionally arise and for use in emergencies. I agree with a previous comment that loss, destruction (or confiscation) of one's phone is likely to be a major hassle. Perhaps there will be a means of uploading it's content into a central bank, from which it can only be retrieved when loss of one's phone is proven - and how would THAT be proved? (To satisfy the police, it would have to be impossible to upload the license, or they would require a means of deleting it from the bank). Such schemes often have awkward complications, and if they are infrequently encountered, it may not seem worth developing solutions for the few unfortunates affected by them. I realize that in time solutions can be developed for some of these objections. But I don't assume they will be. Conservatism is good in this respect! Nick, I agree. I really like being able to walk into my local supermarket and self-checkout, especially when I only have a handful of items. However, I am concerned about these self-checkout machines possibly putting some cashiers out of work. Thanks for sharing your site. First, even today's self-checkout at supermarkets or Lowes still have a register you need to go to and pay. I'm talking about a step even beyond that - you get everything you need, click a button on your phone, and walk out the door. Your phone sends the payment information to the merchant live. That doesn't really exist today, except a few test beds with products like AisleBuyer. 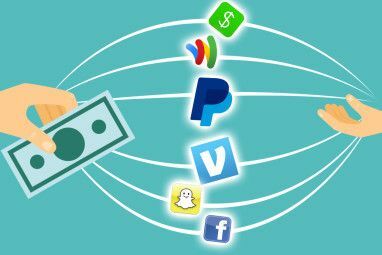 But the innovation in this area is very heavy right now, and major players like Paypal are working towards similar concepts. With regards to jobs; I think you do lose something in a retail environment, but I can't deny that's where we are heading. In service business, like restaurants; there should be little reduction in waitstaff, since you still need (and often want!) someone to physically take your order and bring you food. However, it is possible that if servers don't need to worry about the check closeout process anymore, a server could theoretically handle more tables than they could otherwise. For this server, that means more tips because you are turning over more tables in a shift, while still lowering costs for the business. Plus, there will likely be a lengthy adoption period for the technology - I'm betting the better part of a decade - before these things become the "norm". And there will always be the person whose phone is dead that still needs a standard card-based checkout. Thanks for sharing your tool, Nick! I'd love to use the digital wallet but millions of us guys carry our analog in our back pocket and sit on it. Until smartphones are bendable, I'll have to wait. Yeah, I have to admit, I do pull my iPhone out of my back pocket all the time, and one reason I do is because it's uncomfortable when I sit down. But it's also a good thing, because when I'm out and about, I typically use my iPhone a lot for various things. It also keeps me from leaving it somewhere, or it slipping out of my pocket. You might want to consider using a credit card over a debit card. There tends to be little protection for debit cards, should something happen an you phone gets compromised. What I don't like about credit cards are the interests attached to purchases. Credit cards invite you spend money on things you either can't afford or really don't need. But thanks for your feedback. LOL. How to use your phone as a wallet... first get a cover that holds your drivers license and debt/credit cards. Lol, true that. But at least my chosen cover is not as bulky as others I've seen. Plus, it's probably a good idea to have at least one debit card on your person at all times. The main thing is that I don't have to carry around both my iPhone and a wallet. God help you if your phone decides to crash or lock up when you need it. Hmmm, angrykeyboarder, when it comes down to it, my consumer life is pretty simple. I mainly have to use my debit card on a daily basis, and pay my share of the bills online from bank. While I use several apps in my iPhone, if they were all taken away tomorrow, it would not be much of a problem to convert bank to my analog wallet. If I traveled a lot, or led a chaotic lifestyle, then I'd be concerned. Knock on wood.